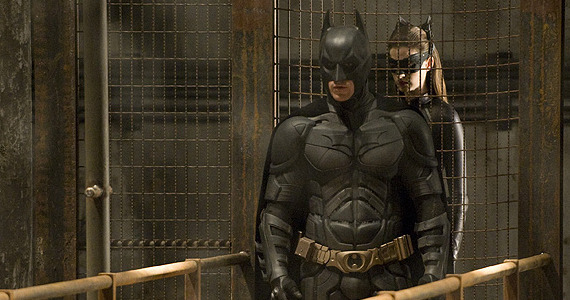 An almost-perfect film, The Dark Knight Rises truly epitomizes what the Batman saga is all about. Of course, a third installment in a series is always hard to impress, Christopher Nolan never ceases to make his comic-book superhero come alive with the aid of Hans Zimmer’s enlivening atmospheres and the work of such notable and cleverly hand-picked actors and actresses who make these comics come to life. The first half of the movie instilled a recurring build-up–maybe a bit too dragged out and detailed for longevity–though, as I am all for details and storytelling, I thought it was very necessary and helpful to those who may have missed out on some things from the prior Batman films. It was especially enjoyable and interesting to introduce and explore the dynamics of two new female characters to the film–Catwoman (Anne Hathaway) and Thalia (Marion Cotillard). I think the most notably strong and especially enjoyable character in this movie would have to be Hathaway’s depiction of Catwoman. What’s not to love about this woman who clearly knows who and what she is, seems to be a threat, yet has something she’s hiding from her past that won’t let her hide her genuine feelings of sympathy and compassion for true good? I’m sure anyone would’ve loved the writers to have explored more into the dynamic of Batman and Catwoman, though Hathaway’s role was depicted as necessary as conclusion to Bruce Wayne’s life as “the Batman”. Knowing so much of Joseph Gordon-Levitt’s outside career kind of made accepting him in this movie for me a bit difficult to handle. I’m not sure why his role in the movie made it so distracting for me. It may just be that I can’t help but be attracted to the guy… (haha!) but, gladly, he fulfills his role so well and fits the character perfectly. Brava! (or Bravo?) to him! It’s clear that Nolan was quite inspired by the work and success of his 2010 film Inception, as he used 4 actors from that movie in Rises. As a big fan of that film, it was a bit distracting for me to see those actors in action–cameo or not–and let out a little laugh. I thought it was a little funny to see them there! Though, Marion Cotillard, familiarly playing the role of the beautiful, magical, and often sought-after woman, took quite the turn in this film as she wasn’t displayed as especially “special” in any sort; her moments in the film initially made viewers skeptical. “What exactly is her role, and what is she doing here?” As such a strong actress, I’m glad to see that she equally plays such a strong, dynamic, and really surprising character. It seems that Nolan loves to use this doe-eyed beauty as the familiar love that is oh so dangerous (reference to Inception)! Also, the way he concludes the film leaving viewers with unease and a bit dodged sort of answers (rather than clear-cut) is familiar to Inception‘s concept of dreaming vs. reality. Nonetheless, there’s so much action, adrenaline, emotion, and heroic deeds performed in crisis in this film that viewers, without a question, would leave the auditorium feeling like they were on a roller-coaster! This movie was a true journey, and, as always on a journey, there are the lessons learned, the setbacks, the questioning, and the pure emotions humans can’t resist. This movie was just so darn attractive and beautifully-crafted, that Nolan does a job well done with this (even with the Colorado tragedy happening). Familiarly, we know that there’s more to come from him, as his introductions to new characters always lead to something new, so we have something more to keep our excitement up!